For many years, I would have told you that yes, there was drinking in my house while I was growing up, but I got out just fine, and it didn’t really affect me. Then when I was in my early ‘30s, I started to see signs that such was not the case. I worked for a time with a prison ministry, where we would go into Texas prison units and spend most of a weekend talking with the inmates. Something odd happened – the inmates treated me with a certain respect and awareness that I couldn’t understand. I realized later that they could tell I was intimately acquainted with violence. I had that killer look. My three sisters all married violent alcoholics. Somehow I knew I carried a time bomb in me, but I couldn’t identify what it was. I felt tightly wrapped, like I would explode if I ever let go. One time I became suicidal. I also carried around a darkness in my soul that I could not explain. Finally it all broke through and I began attending meetings for people who had grown up around alcoholism. I started to get to the bottom of how much alcoholism had affected my life. I was in so much pain I went to the first meeting on my birthday. I began to remember incidents from my childhood – an escalating level of violence from my Dad. I watched the movies “Platoon” and “Full Metal Jacket,” because something about them felt familiar. 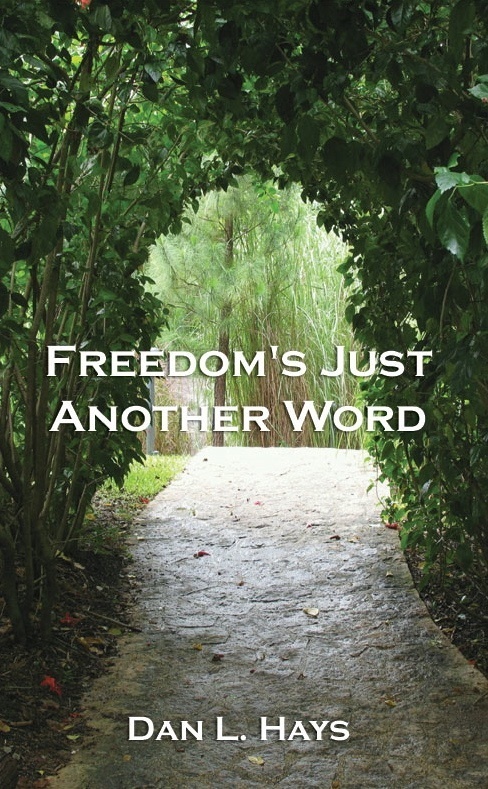 By 1987, when the events in my book “Freedom’s Just Another Word” were taking place, my world was falling apart. I had sabotaged my successful career for no reason I could explain. 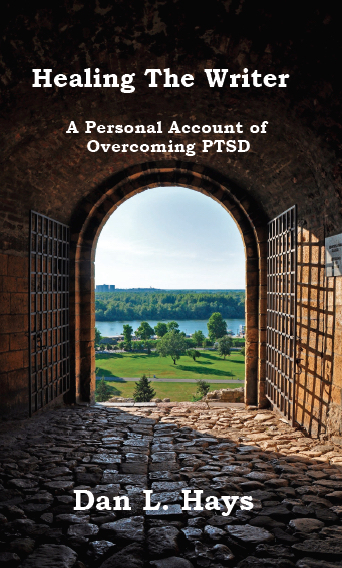 I had realized I was walking around with most of the symptoms of Post Traumatic Stress Disorder – yet I had no traumatic event I could point to. I had an incident where I was suicidal, and got closer than I ever had – an alarming wakeup call. Then my Dad died. He had been sober and in recovery for 20 years, but something still plagued him. It was my belief he was still suffering because he was eating his anger. 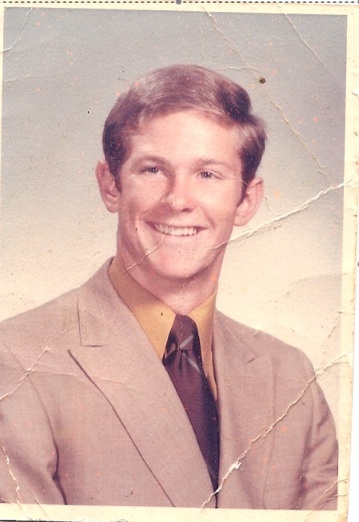 He had his first heart attack when he was 44, open heart surgery at 47, a colostomy at 51, and died of a stroke at 59. I knew if I didn’t get to the bottom of what plagued me, I was headed down the same road. In an incredible and I believe spiritually guided sequence of events, I remembered the most violent incident with my Dad – which had happened on my birthday. It involved guns, and violence, and imminent threats of death. Suddenly the current events of my world began to fall into place and make sense. Yet in a way, it was only the beginning – I knew what had happened, but now what to do about it? Several weeks later, I had a dream. I dreamed I was inside a house, and watching it for someone—I wasn’t sure who. It was a long, low rambling house away from other houses, very isolated. There was a pet tiger in the house. The owner, an unidentified male, said the tiger wouldn’t bite, but the tiger became startled and started chewing my arm. I would feel the size of his teeth, the strength of his jaw. I was very scared. The owner left, and put me in charge of the house, and of the tiger. Suddenly, Rebecca was there, a woman I knew from ACA. I felt like she was a stranger—like she didn’t know who I was any longer. I invited her into the house, and she didn’t know her way around. I showed her to the bathroom. Suddenly I remembered that strangers startled the tiger. Then the tiger was there and he was chewing on my arm, and I feared he wouldn’t stop until he ate me. And then I knew—the tiger was my rage. 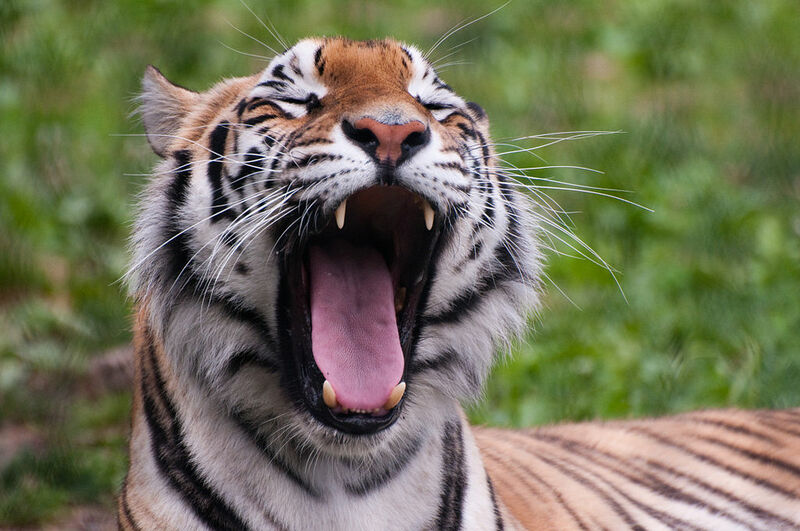 The tiger dream disturbed me deeply, and I knew that I had a deep rage within me that would eventually destroy me. I feared it so much that I buried it deeply and only rarely did it surface enough to confirm that it was there. But I could tell. It was the legacy of anger my Dad left me. Threatening to devour all who entered—and me. Uncontrollable. I knew then that I was dangerous—to myself and others. So there it was – the time bomb that had to be defused! It was no longer about my Dad – it was about me; and it was something that was my responsibility to deal with. Working through that anger and deep rage became my commitment over the next several years. I got backed into a corner where my anger had to be dealt with (the topic of a future book, “The Tiger Unveiled”) and it became a life or death issue for me – there was still the specter of my Dad’s early death, and I knew it was still dangerously close for me. I made a commitment and signed it in front of witnesses – an Anger Contract. In it I stated how I would and would not express my anger. I committed to work on releasing that anger in safe ways, while restricting myself so that I would not hurt anyone while I was so angry. I did so, and eventually bled off the anger, to the point where I could heal and be at peace with my Dad. I had come to realize that he had been blacked out drunk when the violence occurred, and he didn’t know any more than I did what had happened between us. We were both harmed by the effects of the alcoholism. It put a wall between us we never could understand in his lifetime. I wrote a short work called “A Conversation With Dad,” an imagined talk where we made peace with each other. It worked! Yet on the other side of the scale from the alcoholism and violence, it was a powerful symbolism for me to realize that the Dad who abused me when he was drinking was the same Dad who illuminated my path to healing and recovery by his example of perseverance in sobriety. “Tell me about your tiger,” she said. They were at the zoo, standing in front of the tiger cage. A huge, restless Bengal tiger paced back and forth the length of the cage. His eyes looked devoid of life, cold, neutral. The huge paws silently padded up and down, the tawny skin rippling over muscles bunching and loosening as he walked, endlessly pacing. There was about him an ominous presence, a sense of unbelievable power and force, frightening, even with the steel bars separating him from outsiders. The tiger continued to pace as they watched in silence for a few minutes. “I guess you could say it was an inheritance. From being raised by a brutal Ex-Marine who let his tiger act out on a twelve year old boy. Like his Dad did to him.” The tiger continued to pace. “So what did you do about it?” she asked. “Yes, I can accept that,” she replied. They turned and walked away. The tiger, at long last winded and tired, had finally laid down to rest. 10-28-09 I’m finally about ready to talk about the things that were still very private at the time the above piece was written. The miracles and the events of confronting my rage. It will be the topic of a book, “The Tiger Unveiled,” that I have laid out, but not finished. Below is the pivotal event that made me face the tiger within me. The Tiger Unveiled – You Got The Wrong Guy! As we sat down at the Denny’s restaurant, what went through my mind was, “Oh, my God, this feels like an Intervention.” There were six of them, and one of me. They had gotten me out of bed that night – woke me up late – and said they wanted to buy me dinner. From the moment I opened the door to my apartment, my intuition screamed that something was wrong. The people who came to my door didn’t fit together – some of them didn’t even like each other. And they wanted to buy me dinner? This late? They told me they wanted to confront my pattern of backing away from people. Even though it didn’t make sense why this had to be done “right now,” I went along with them – because I trusted them, gave power to their words – in a sense because they were family. I had seen these people earlier in the evening at a party. I had been in a lot of pain – because of grief over my Dad’s death, but also the pain of knowing that I must move on from some of these people. I loved them dearly, but I had to detach from them, for my own well being, to save myself. So when it got too emotionally crowded at the party, I went home. Now as I sat in the middle of the long oval table, surrounded by these people – trapped in a sense, because I was sitting on the inside of the booth – my thought was: listen to what they have to say. Give them the benefit of the doubt – don’t get angry and get up and leave. Trust them. They began talking about how they had seen my pattern of backing away from people. That felt strange. Couldn’t that have waited until tomorrow? They said they were doing this out of love. As I looked at them, they looked frightened, agitated – some looked like they were in an altered state. They made statements that sounded reasonable, but in some way sounded angry. The things they said about me could have been true about them as well. It sounded like they were describing themselves, but they were saying it was about me. Then they started talking about suicide – how they feared I was about to kill myself. What? That’s not why they said they needed to talk to me. Where had talk of suicide come from? One person did most of the talking about suicide, the others just nodded in support, which hurt just as bad. Their words grew more hurtful, more demanding. I grew – confused. For years these people had been praising my growth toward health – now they were saying I was sick. They were accusing me of things, diagnosing me – telling me how in distress I was. Some of them grew more angry, more insistent. It continued. They used a lot of “should” statements. Nothing I was doing was good enough, or right enough. I tried to explain, to tell them I knew what was going on with me, that I was talking with people about my situation. I tried to tell them that they were discussing things that should be addressed with each person privately. They went on. As I looked at each person, I could see that they doubted – no, they had decided – not to believe me. It hurt, and I emotionally closed up. I began to feel the unreality, the insanity of it. I had been condemned before they got there – they wouldn’t believe me. I was alone – against 6 people. The weight of numbers bore down on me. It was crushing, and I grew numb. They mentioned love again and took me home. The reason I knew I wasn’t suicidal – after that attack, I didn’t go home and kill myself. Several days later, I found out the truth about how this had all come about. A group had formed at the party, and the rumor began to spread that Dan was home about to commit suicide. I was humiliated to hear that. I heard about “secret meetings,” and “mass hysteria.” Several people “encouraged them to wait.” Someone I had been talking to, who knew what was going on with me – was told they could not go, because there were “already too many people going.” My one advocate – denied access. They became convinced they needed to save me, so they came after me. When I heard details, I grew angry, very angry. I felt my tiger, my rage. I knew my rage was primarily tied to my Dad, but it scared me deeply, because now there was an immediate target for the rage – that group of people. Something had to be done. The event at Denny’s was one of the most hideous experiences of my life. Yet I would later refer to it as one of the greatest blessings I’d ever received. It forced me to confront and deal with my anger and rage. But I was committed not to hurt anyone. I ended up signing before 2 witnesses, very solemnly, an Anger Contract that that stayed in effect for 2 years, as to how I would not act out my anger on someone else. I also committed to actively to release that anger in safe ways. It worked! That was the great blessing of the event at Denny’s.